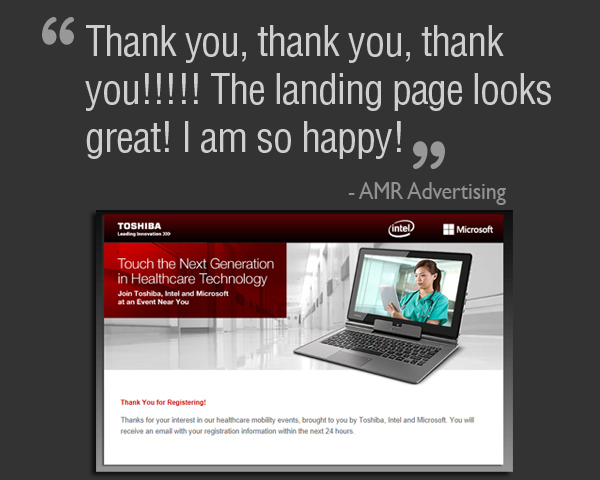 Toshiba for AMR Advertising – Email Marketing | ASTRALCOM - Content Strategy, Conversion Marketing and Customer Acquisition. Toshiba for AMR Advertising – Email Marketing | ASTRALCOM – Content Strategy, Conversion Marketing and Customer Acquisition. This was a quick turn-around project for our advertising agency client AMR Advertising in Fullerton, California. 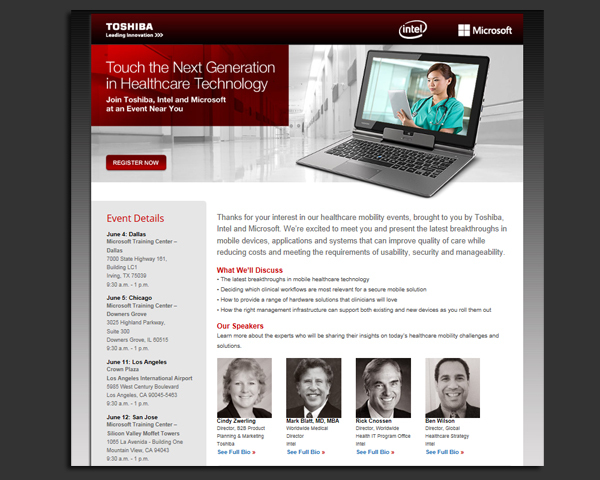 Their client, Toshiba, needed help creating a landing page with a form-to-database component, for an industry-related event. 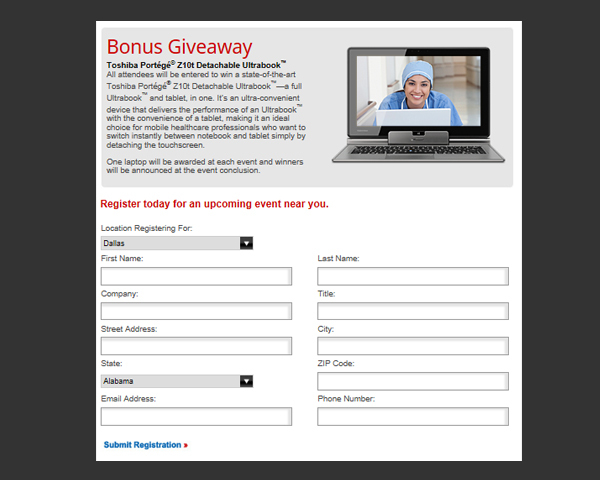 Event attendees who submit a form receive a personalized confirmation page with event details; which they may print on command, and they receive a Toshiba-branded rich HTML email reminder with the event details. Attendees are also segmented into four geo-specific audiences, upon form submission. The database is also configured as a CRM tool for further e-mailings with HTML-rich communication pieces.